The fine folks of Got Craft? 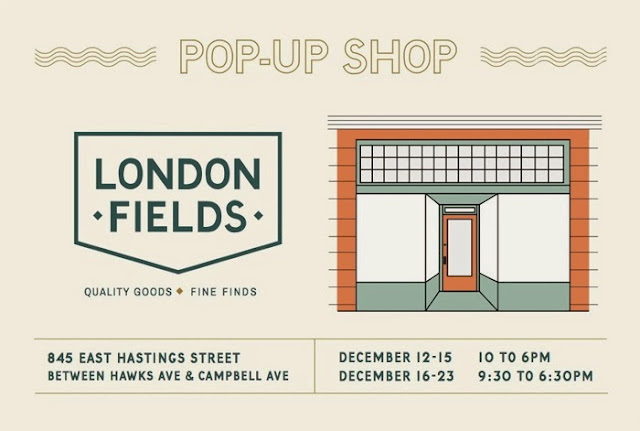 are setting up a pop-up shop this holiday season (December 12-23) next to Les Amis du Fromage at 845 East Hastings in Vancouver just down a block from their permanent space which will be opening up early 2014. Specializing in an eclectic mix of curated goods, London Fields Shoppe will carry a selection of homewares, stationery, prints, small accessories, jewelry, vintage items, and more. 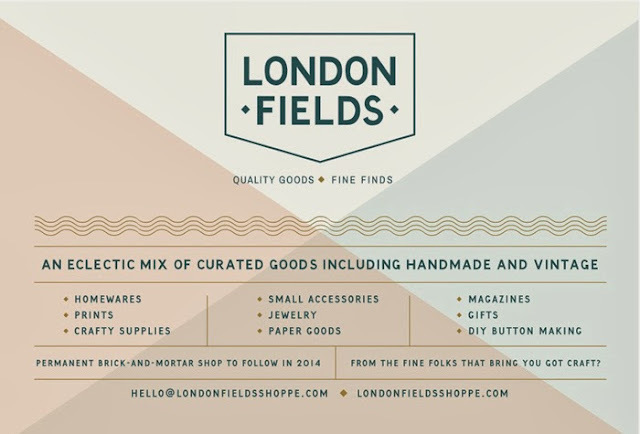 With an emphasis on handmade, they will be sharing some of the goods that they have discovered during our travels including items by think and ink studio, Old Kinderhook Soap Co., Linus Kraemer, Frankie, Forest and Waves, Richard Fairhead, little low studio, Ladybird Likes, to name a few. Permanent space with coffee and cake service to open at 892 East Hastings in Spring 2014.